Last Friday evening, my father and I had a rare adventure together; we went and saw the movie, “Lincoln”. I know that this may not sound like much of an adventure, but the last time my Dad and I saw a movie together – let’s just say the internet wasn’t around. Since my ultimate goal with the content I create here is to start a revolution (just like the title of my company blatantly states) I’d be remiss not to learn a few things from one of the most important cultural changes in history. However, I’m also not foolish enough to draw direct parallel’s to the actual Civil War and my mission either. Two different ball-games. With that said, I’m no expert on the Civil War nor on Lincoln himself. 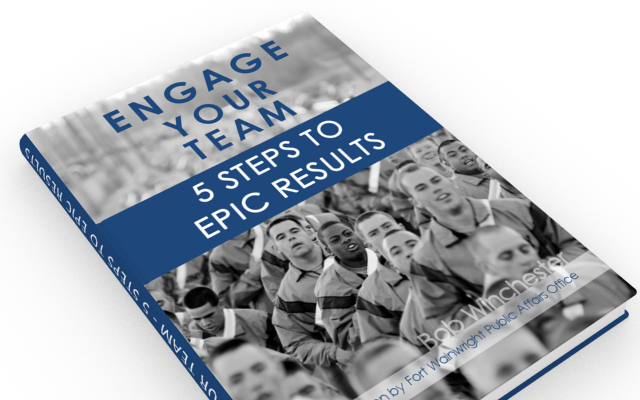 But, what I do find myself an expert on is empathizing with authority figures as they fail miserably at making changes in an organization’s culture. So, I’m going to take this flick at face value and share a single point that has broken many a well-meaning leader. In the movie, Lincoln did his absolute best to convince his political foes that slavery was wrong. A fact that seems so obvious to you and I that it’s almost ridiculous to consider now. Nonetheless, over 700,000 people lost their lives fighting to either change or preserve this cultural phenomena. The movie plays heavily on the fact that Lincoln actually postponed peace to gain political advantage to get a bill passed that abolished slavery. Lincoln knew that even if he won the war, the culture wouldn’t change unless it was forced to change. He needed the authority of the law. Most organizations are very similar. While I’m a huge proponent of influencing your culture from your current position, I’m also hyper aware that the people in authority positions often have significantly more influence than any single individual. They make the laws. And to face facts…sometimes that’s what it takes. This is how it’s going to be from now on or your fired, will definitely get results. The problem with this is it doesn’t tell a story or do any convincing. So, it automatically gets resistance. Lincoln was a master storyteller. He was great at convincing. That’s why “Lincoln”, portrays the importance of both authority and influence. The balancing act that few leaders even attempt, let alone master. So, I guess this isn’t as much of an argument as I thought. We were both right! Question: How do YOU balance authority and influence? Every day I see examples of why authority matters… a lot. The real magic comes when authority meets real leadership. Kabooom…. then you can do real good. When a leader relies too much on authority it will work… for a while. The danger is what is happening beneath the surface.. are people learning… are they bringing breakthrough ideas… as you state, it’s both. Clearly you’ve experienced this yourself Karin. So have I. The tough part is for all those who haven’t. They don’t know the power you are talking about. I plead to those that may read these words to strive for this balance because it will change everything!!! Someone can say “This is how it’s going to be or else and get results” but are they the right results? Exercising authority is not the same as exercising leadership. 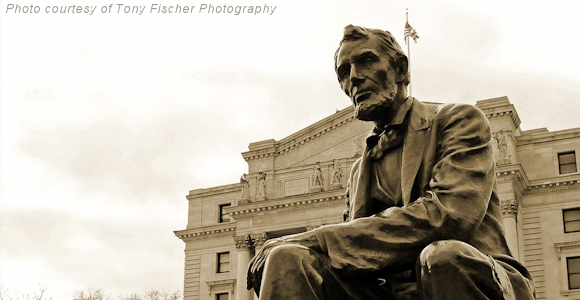 Think more deeply about your Lincoln argument. The only formal authority Lincoln actually had in passing the 13th Amendment was that of the veto… Sure, he relied on the authority of the law to abolish slavery but the law in that case was the means to an end. It was Lincoln’s incredible informal authority that got the Amendment passed. Great point Chris! I didn’t really consider the veto power even playing a role. I’m sure the movie isn’t perfect in it’s portrayal of the situation either. However, it did remind me how important the laws or rules in an organization are (assuming they are enforced). All too often I work with companies where their rules, or lack of rules are affecting the culture in a very negative way. For any of us that have experienced that, I think this analogy is a great example of how important (as you put it) that informal authority is. I really appreciate you adding to the discussion here. Thanks for stopping by!! !